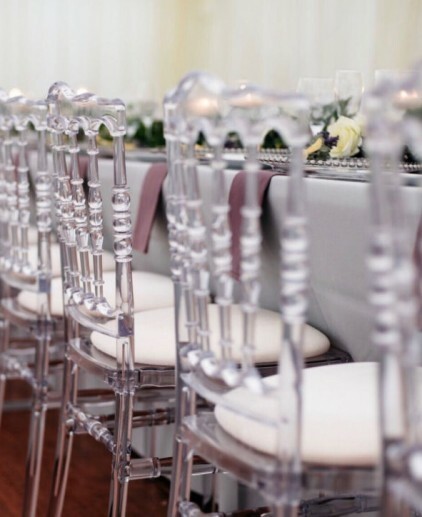 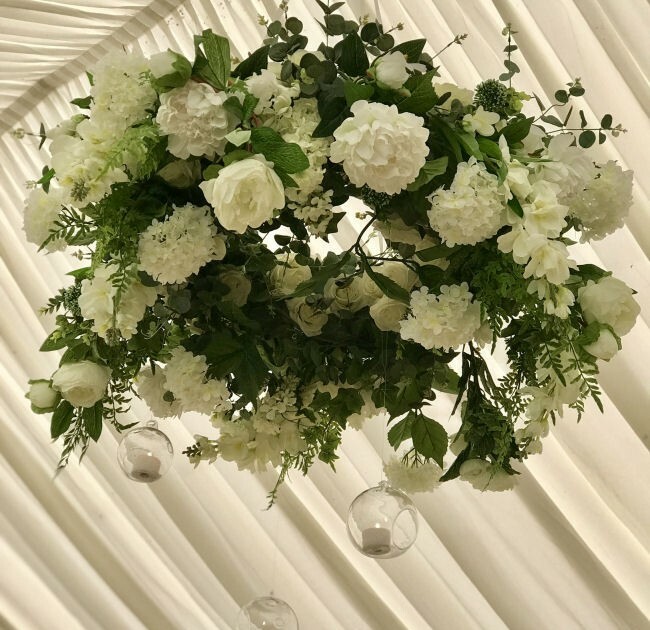 Our beautiful hanging silk florals look stunning in your marquee, barn or hotel. 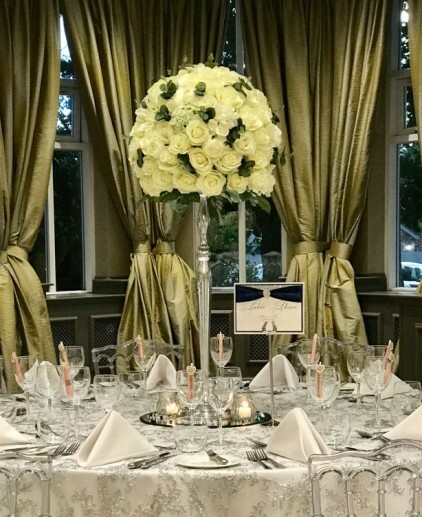 Your guests are sure to be impressed with our giant flower balls, floral halos and over- top table bespoke arrangements. 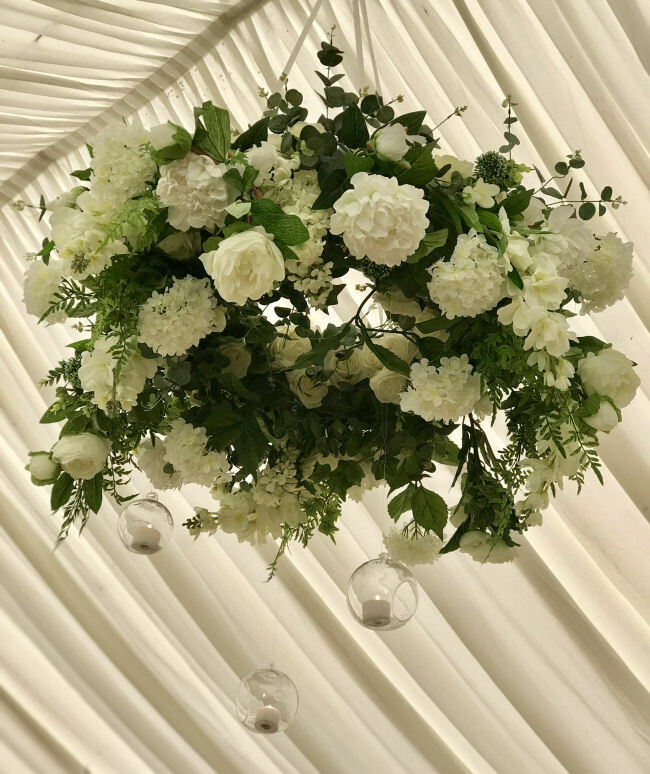 Teamed with our gorgeous hanging glass globes with tea-lights they ooze pure elegance and add lots of greenery to create a look of rustic chic.